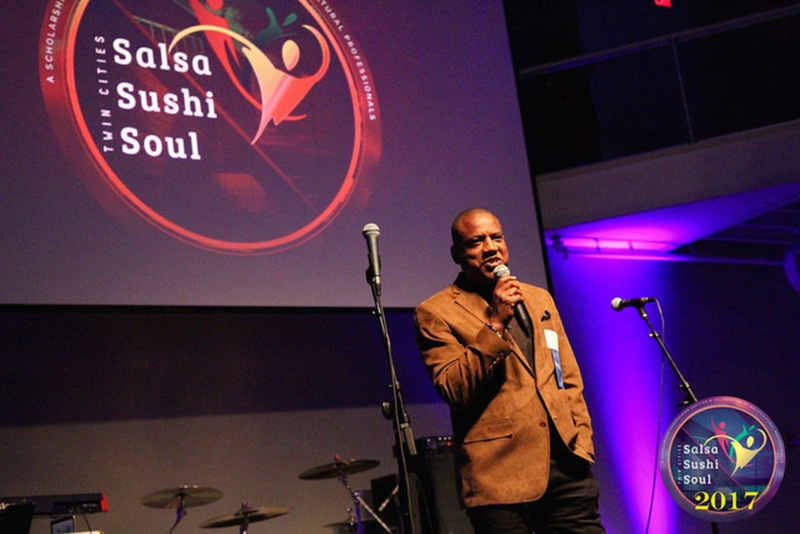 NABA Twin Cities Sasha Sushi Soul Celebration & Auction is a fundraiser for a scholarship fund. 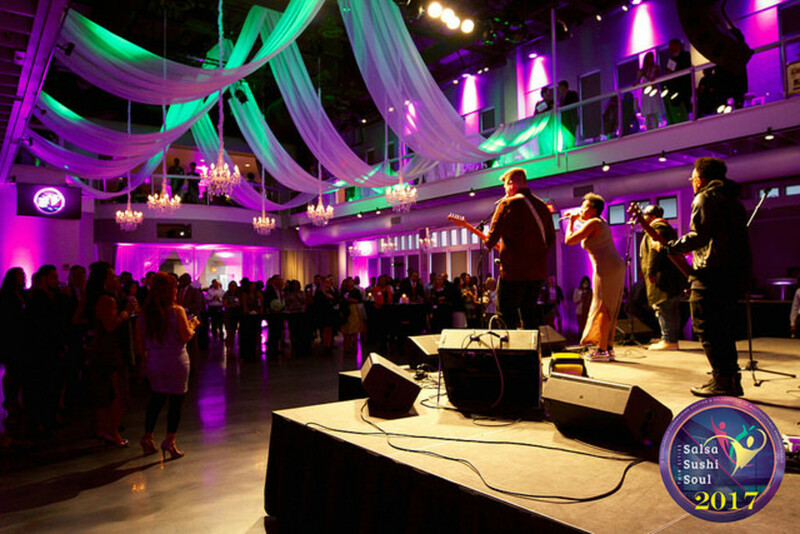 The 2017 event was held at The Muse Event Center in Minneapolis, MN. 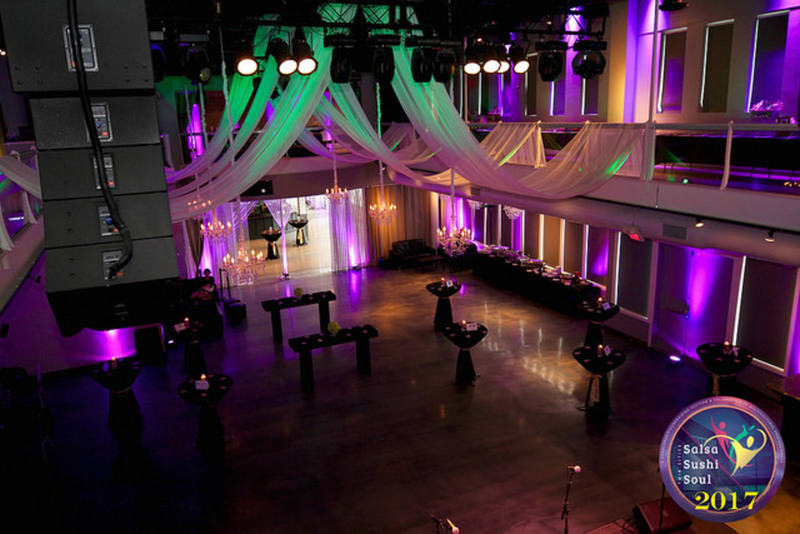 The organizers rented 30 Par 64 RGBA uplights to space around the room on both levels. 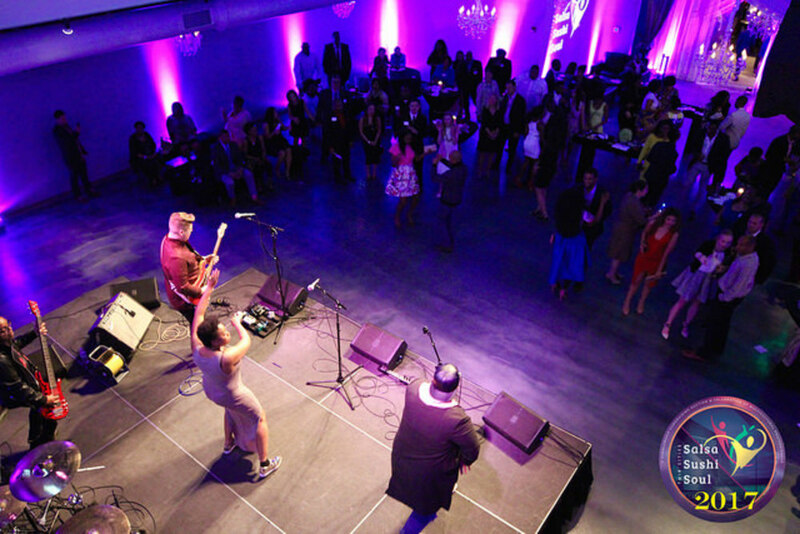 This fundraiser event also projected their logo on the stage behind the speaker. You can achieve this effect by renting a video & image projector. Rent a projector. Email us your logo and we'll load it up in the projector so you just need to turn it on. No additional computer necessary!